Piezo makes it a snap to record audio on your Mac. In seconds, you’ll be recording audio from any application or from audio inputs like microphones. Piezo requires almost no configuration, and it’s a blast to use! Simple and inexpensive – that’s a winning combination. Bug Fix: Some small improvements have been made for those using VoiceOver. 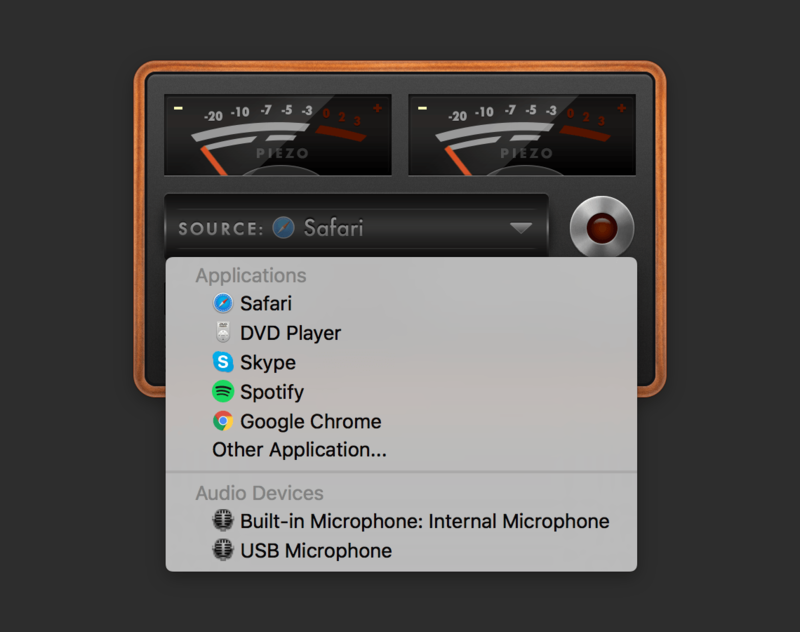 The Source popup menu now reads out the currently selected Source, and a readout of the current recording filename is also now available to VO users.